US President Donald Trump has announced the US' withdrawal from the 2015 nuclear deal signed between Iran the five permanent members of the Security Council, plus Germany. Sputnik spoke to Hooshang Amirahmadi, President of the American Iranian Council for more insights into the issue. Sputnik: So there are concerns that the US decision will drive a wedge between it and its traditional European allies, particularly due to fears that US sanctions could impact upon European firms doing business with Iran – what could the consequences look like, and what options does Europe have for countering them? Hooshang Amirahmadi: As far as I am concerned, the nuclear deal is dead. After the US has left it is dead now. And the Europeans, even when the Americans were in would not deliver on their commitments at least not fully and without America I don’t believe Europeans are prepared to work with Iran. I believe they will gradually withdraw from Iran and wait for the next step between the US and Iran. That is my take, in fact in the announcement that the president of France, the Chancellor of Germany and the Prime Minister of England issued yesterday they reiterated that Europe wants to stay but it has its own conditions. So, these are the conditions that killed the JCPOA in the first place. Sputnik: Concerns are now focusing on how Trump’s decision could affect the security environment in the Middle East. Some have said that Iran could launch retaliatory strikes on Israel from Syria, some have said that it could use Shiite paramilitary forces in Iraq and Syria to launch attacks on US forces there – what do you see happening? Hooshang Amirahmadi: I think all of those are junk and propaganda. Iran will never, will never, act like that. Iran will never attack Israel, directly or indirectly, forget it. And Iran will not attack American assets in the region, in the Persian gulf. Iran knows that such moves are equal to suicide. Iran is not suicidal. The regime is a survivor, so please don’t buy that nonsense. It is all nonsense. History will prove that nothing will happen. 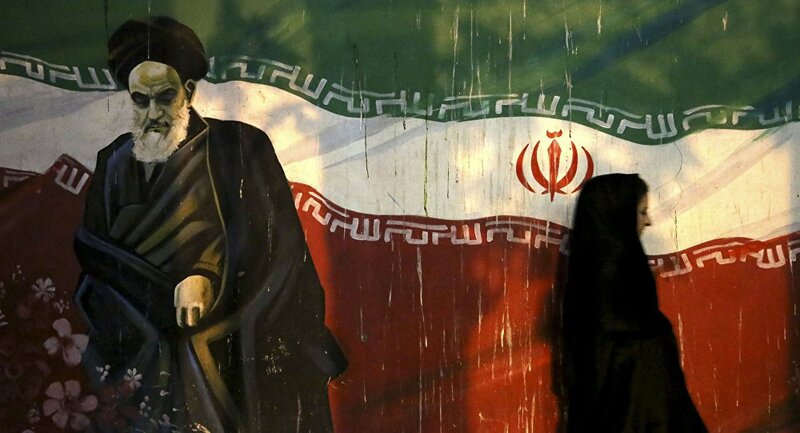 Sputnik: Do you believe, as some do, that President Trump, Secretary of State Pompeo and National Security Advisor John Bolton are, ultimately aiming for regime change in Tehran? Hooshang Amirahmadi: Yes I do believe in it, that’s for sure. Yesterday after Trump left the JCPOA it started regime change. This is a regime change policy. It’s way beyond leaving the JCPOA. I believe the US is fed up with the Iranian government and unfortunately Mr Netanyahu has a tremendous hold on Mr Trump and he is now calling for the shot. So yes, I believe the government here in Washington is for regime change in Tehran. The views and opinions expressed by Hooshang Amirahmadi are those of the analyst and do not necessarily reflect those of Sputnik.